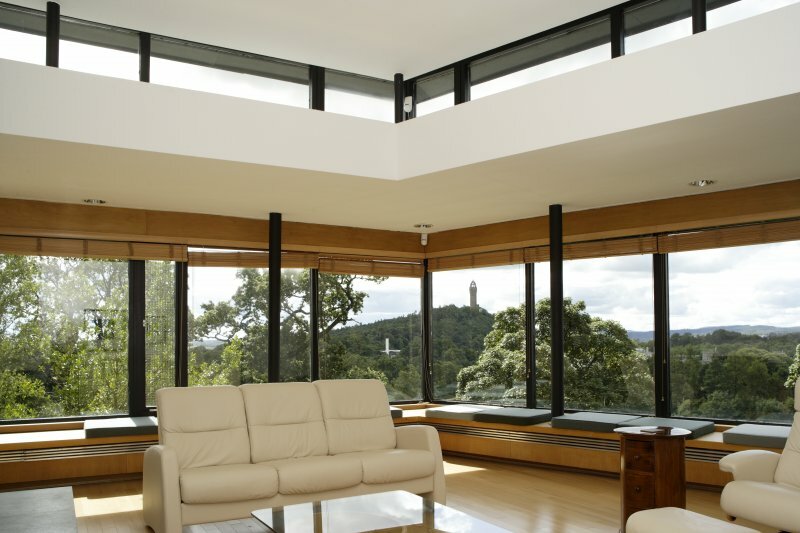 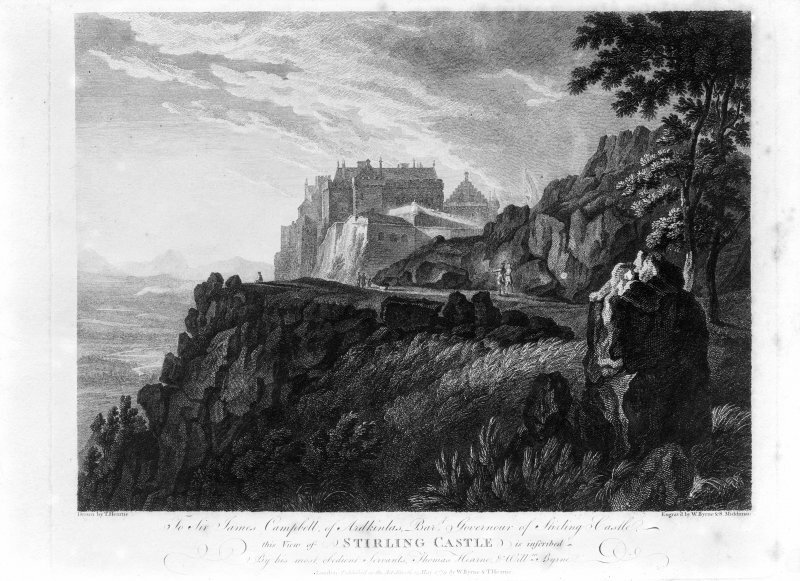 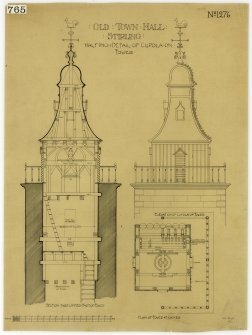 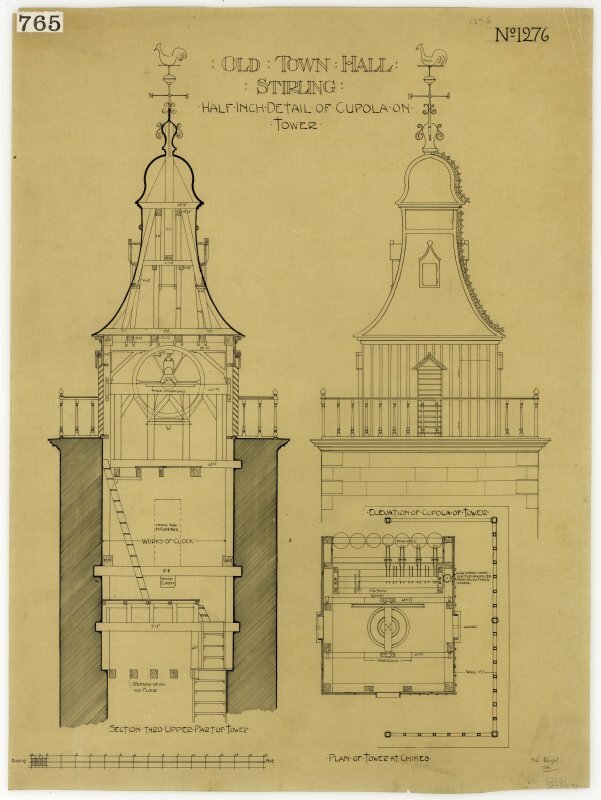 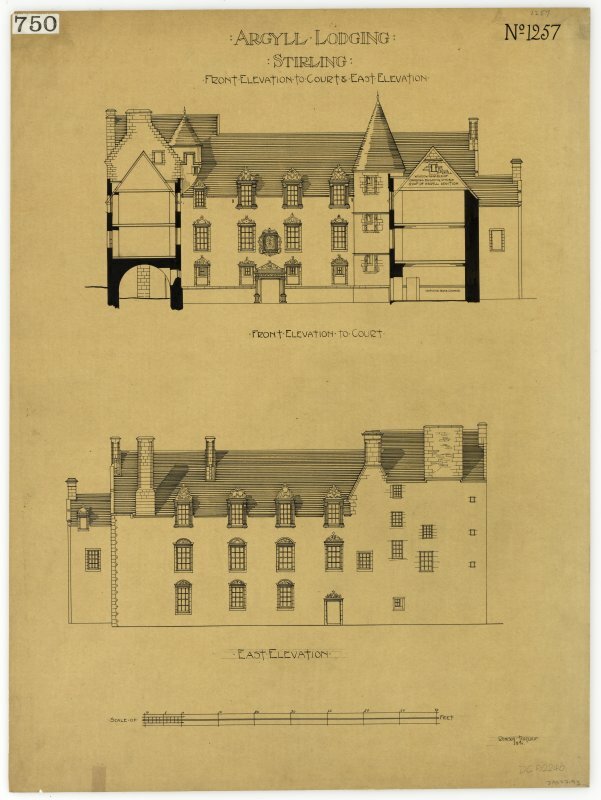 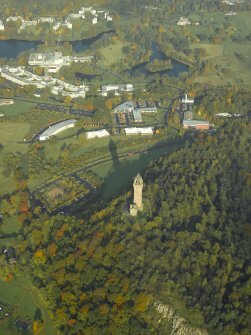 View of Mar's Wark from E.
Perspective elevation of Wallace Monument for competition. View from below Wallace Monument to south west. 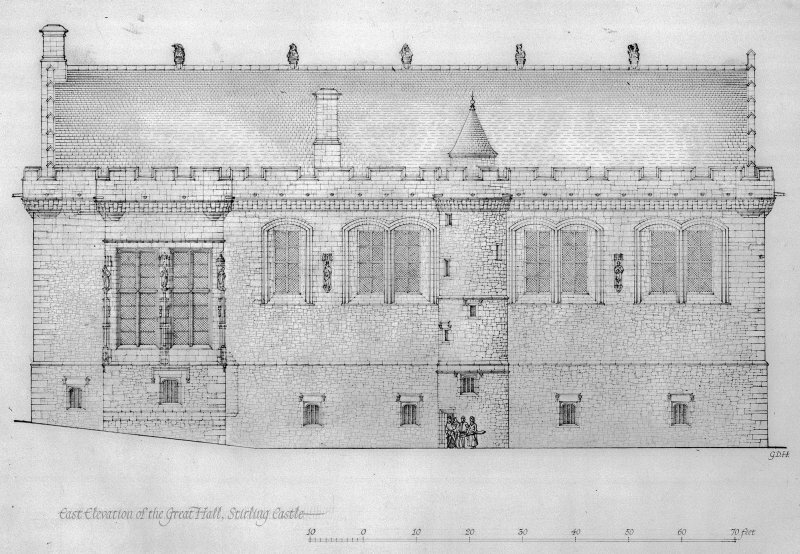 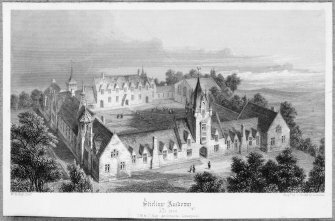 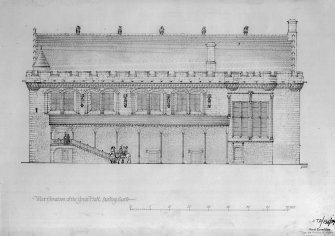 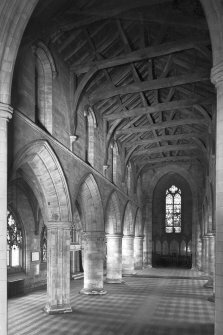 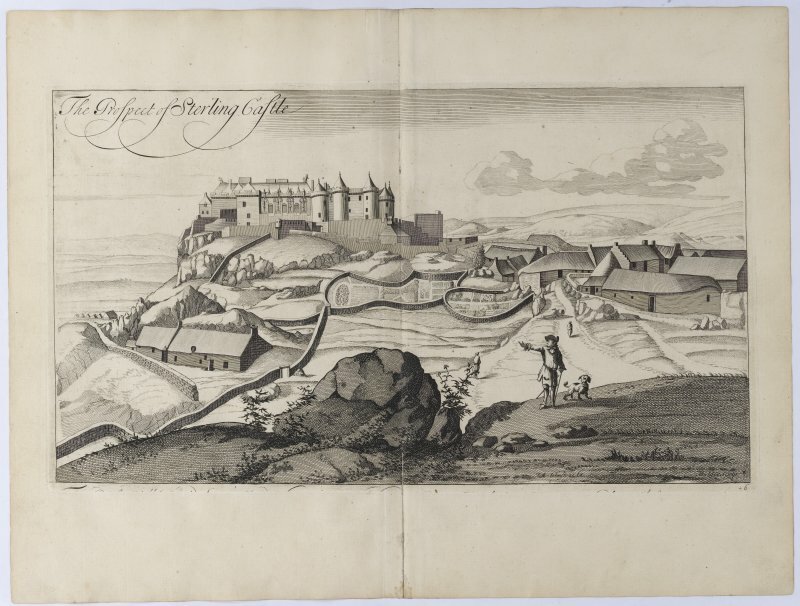 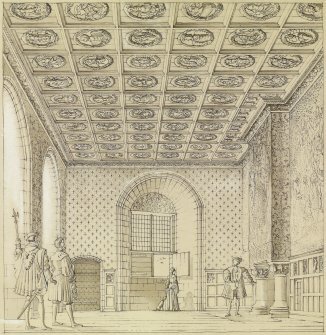 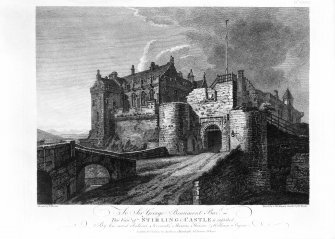 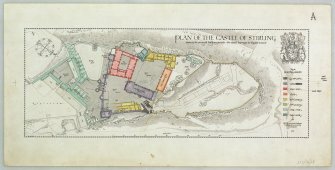 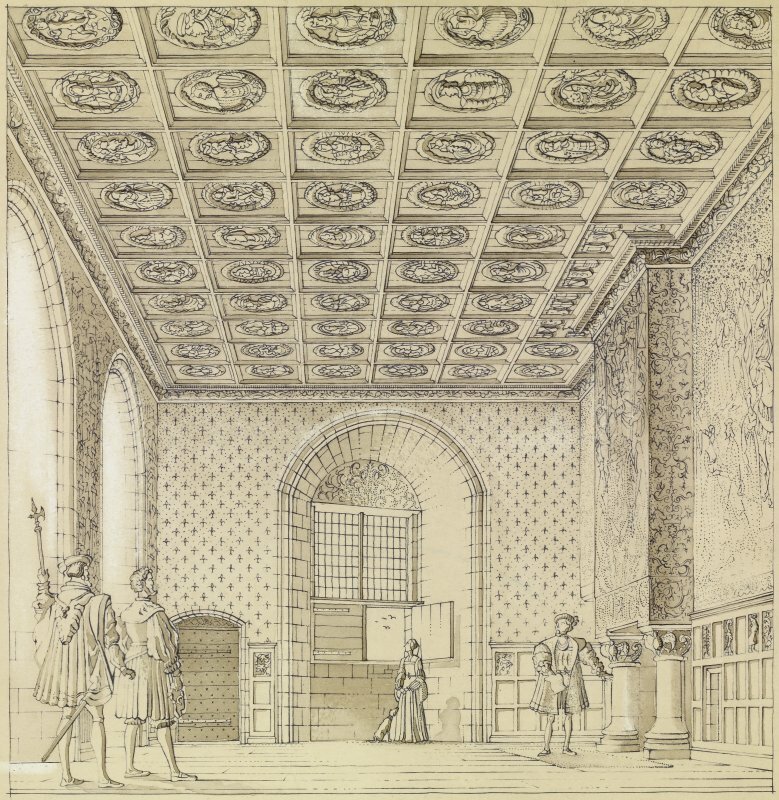 Scanned image of engraving showing general view. 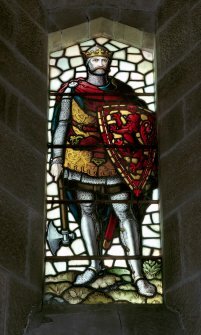 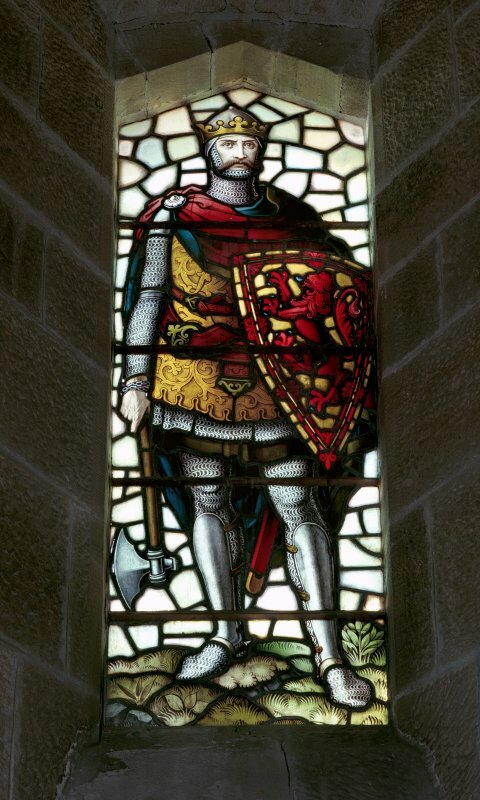 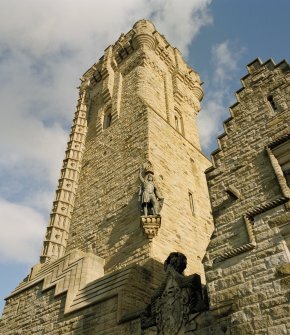 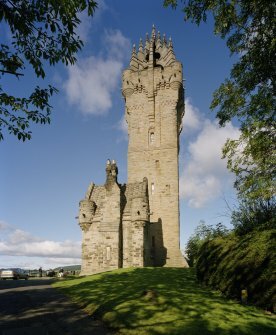 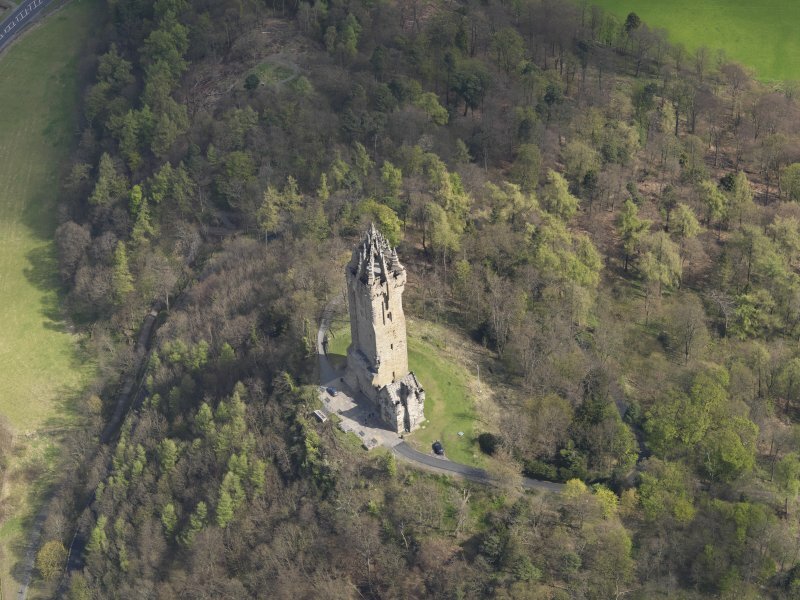 Insc: 'The Wallace Monument'. 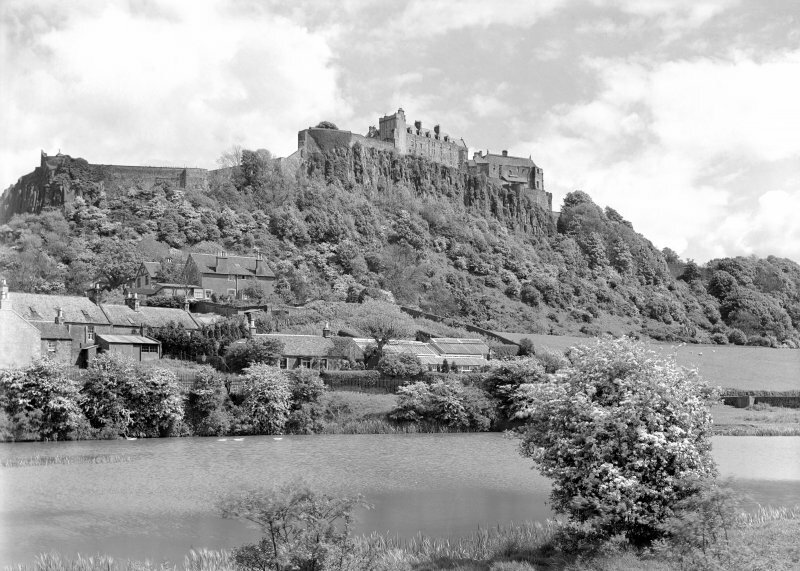 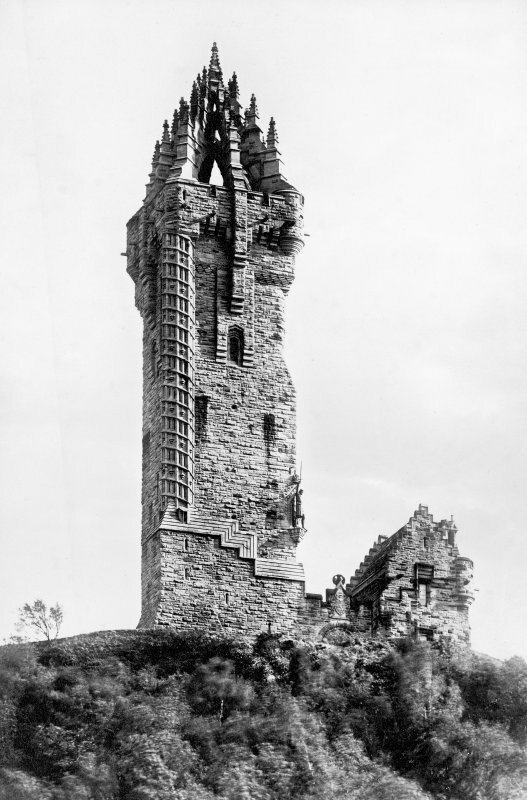 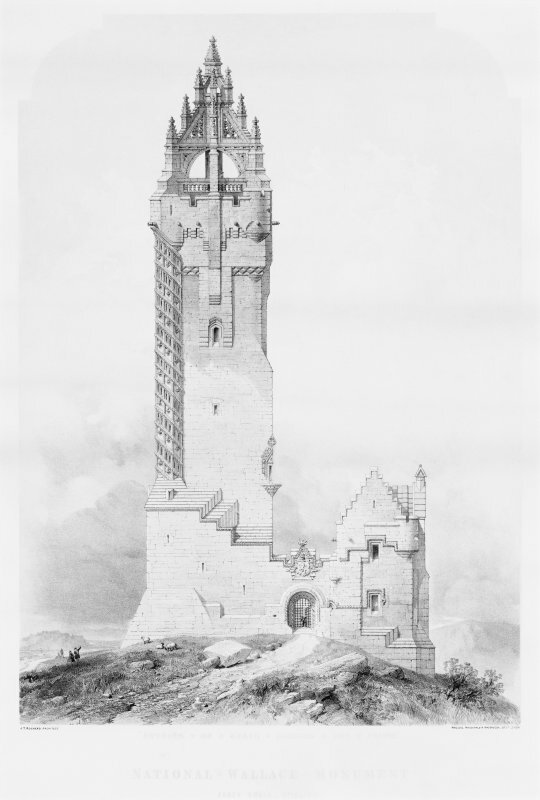 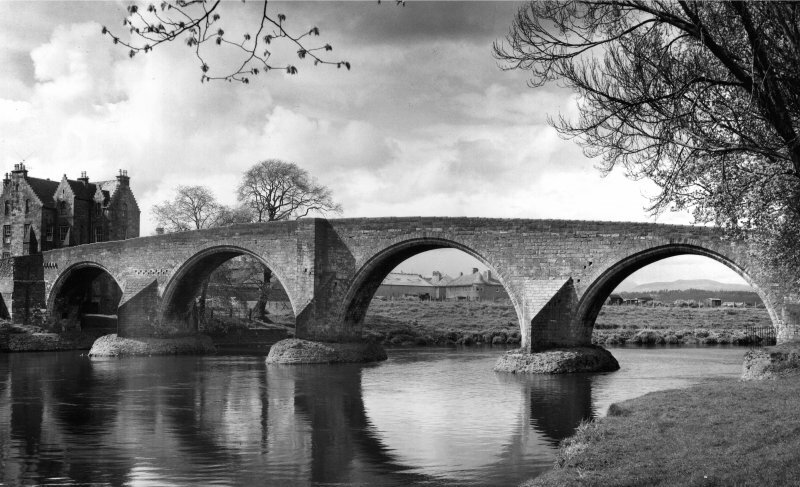 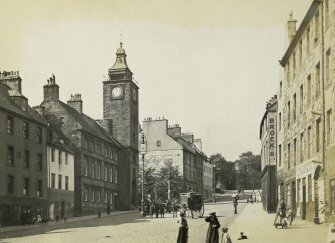 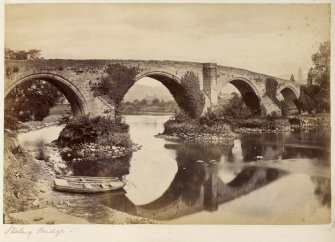 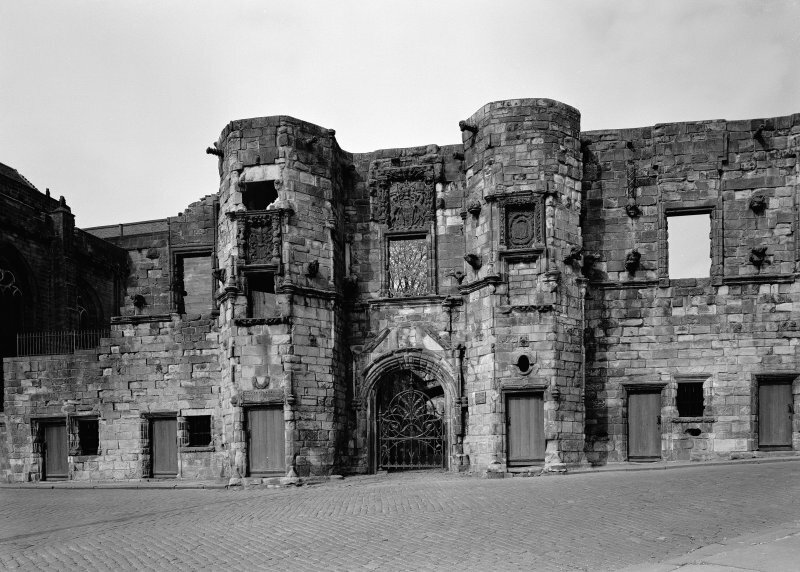 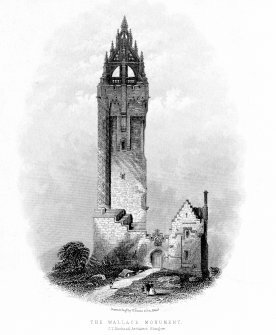 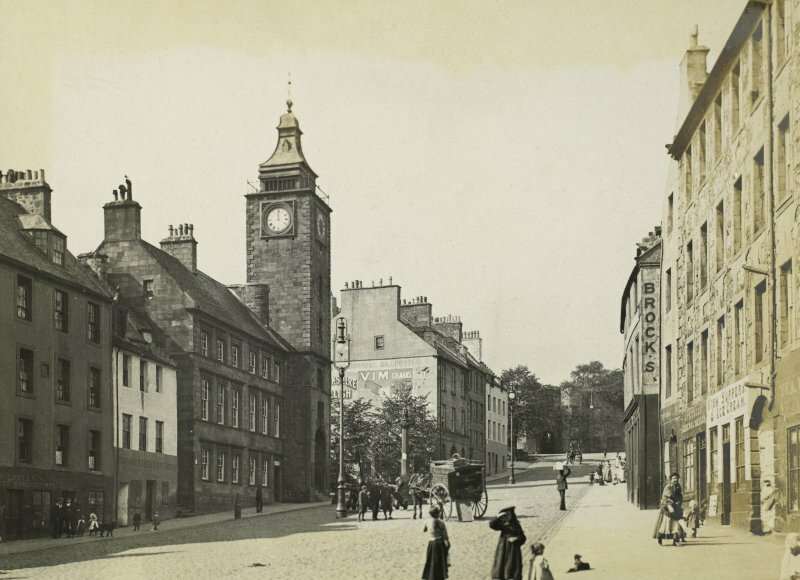 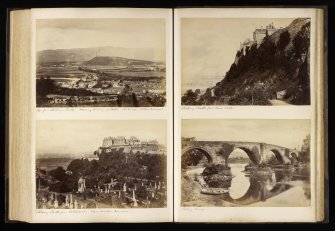 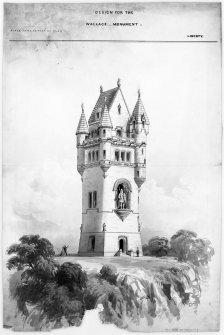 Historic photographic view of Wallace Monument. 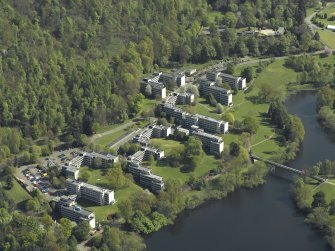 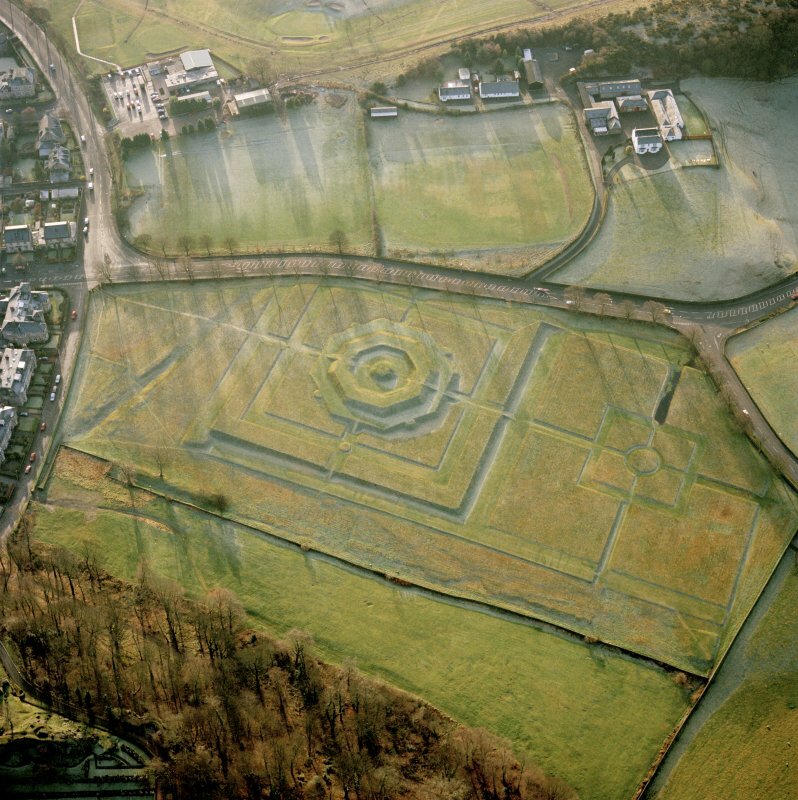 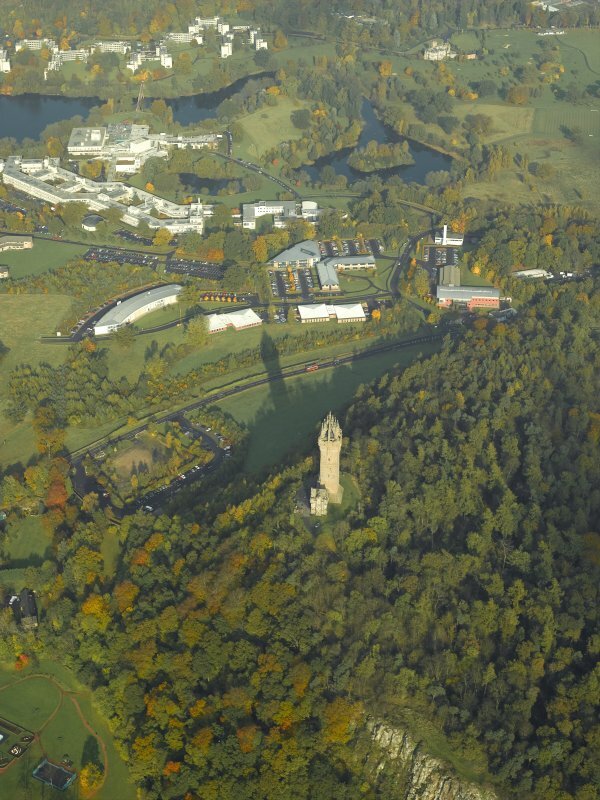 General oblique aerial view centred on the Wallace Monument with the university adjacent, taken from the SSW. 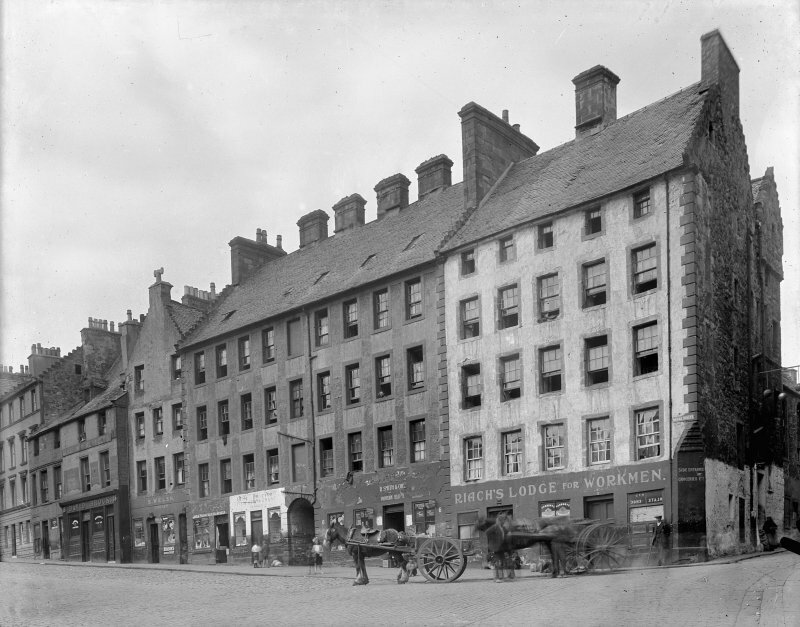 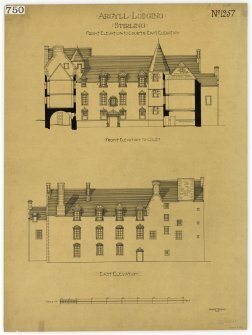 Elevation of N side of Broad Street, including part demolished in 1926. 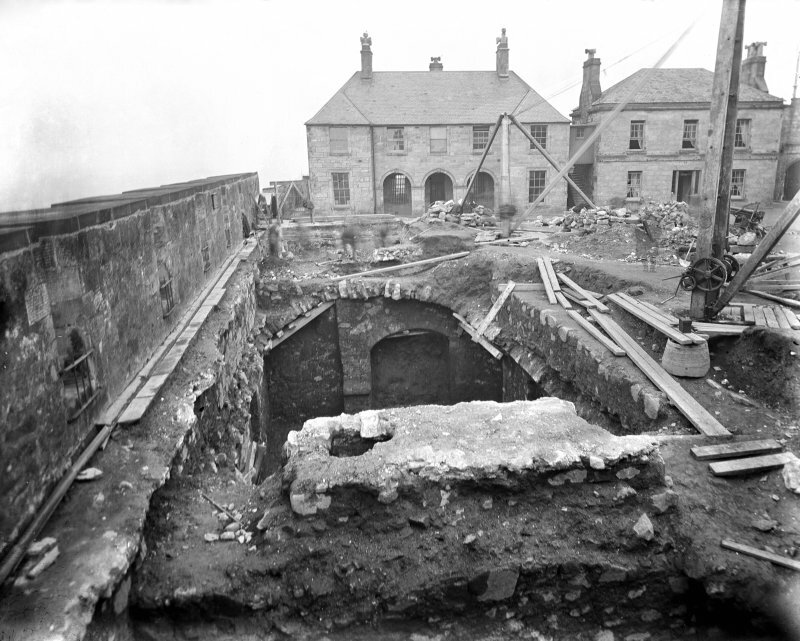 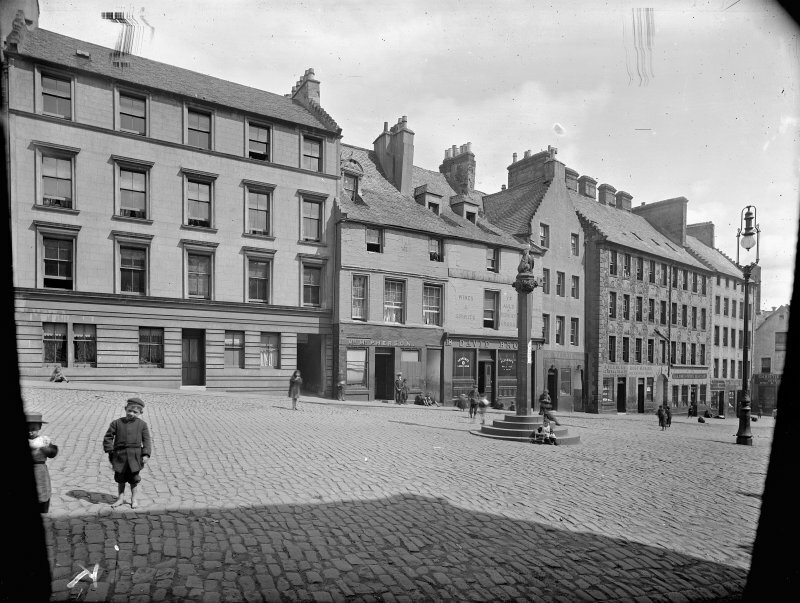 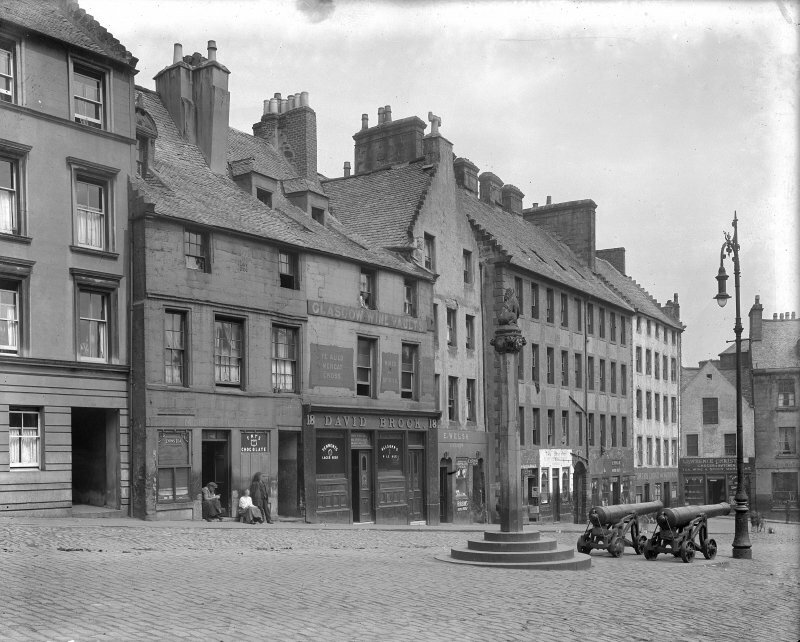 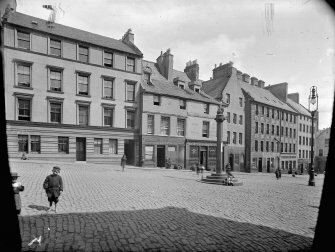 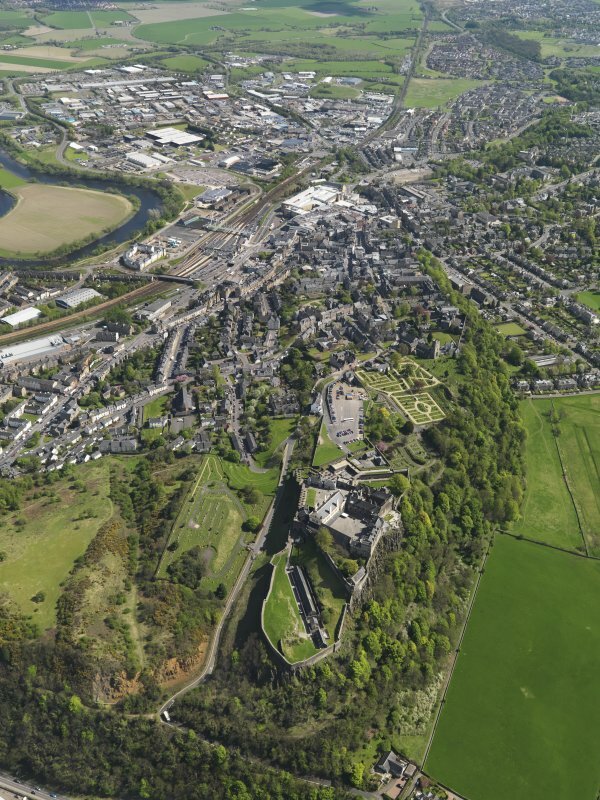 General oblique aerial view of the city centre, centred on Spittal Street leading to the castle, taken from the SE. 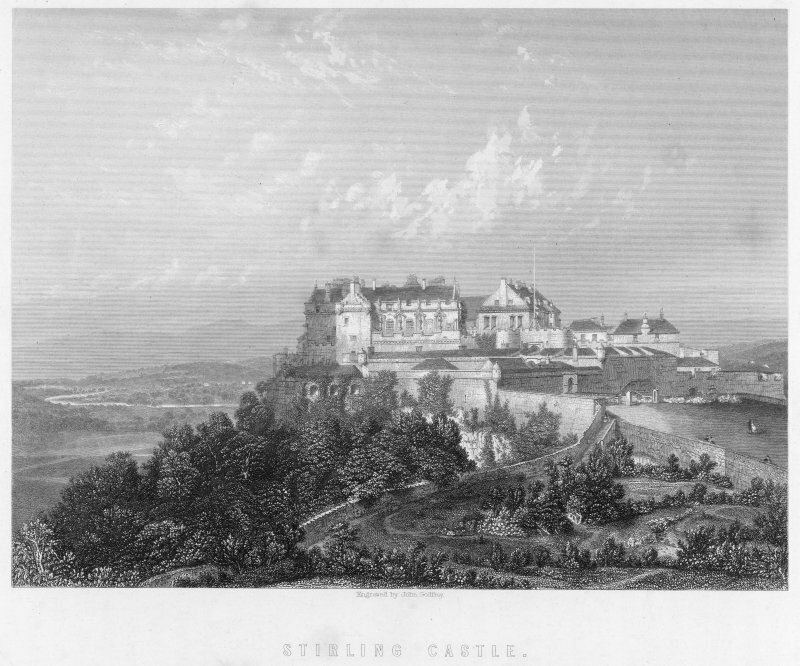 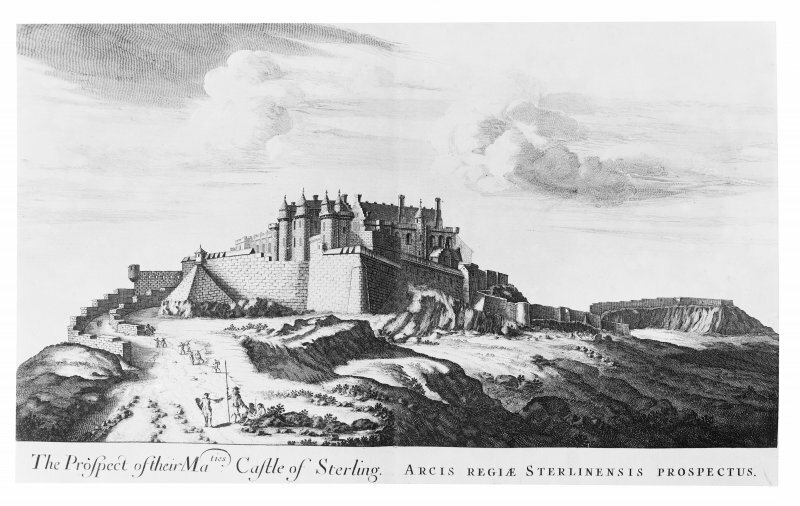 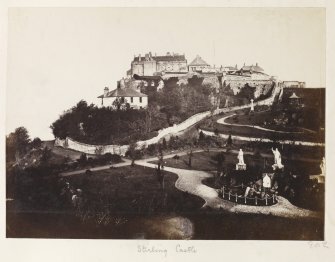 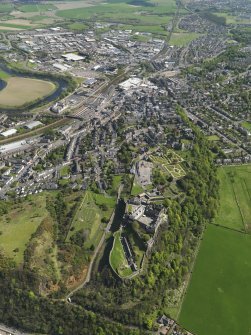 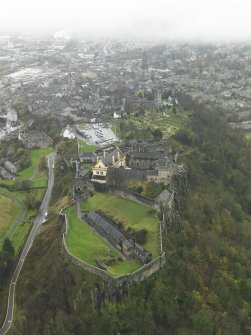 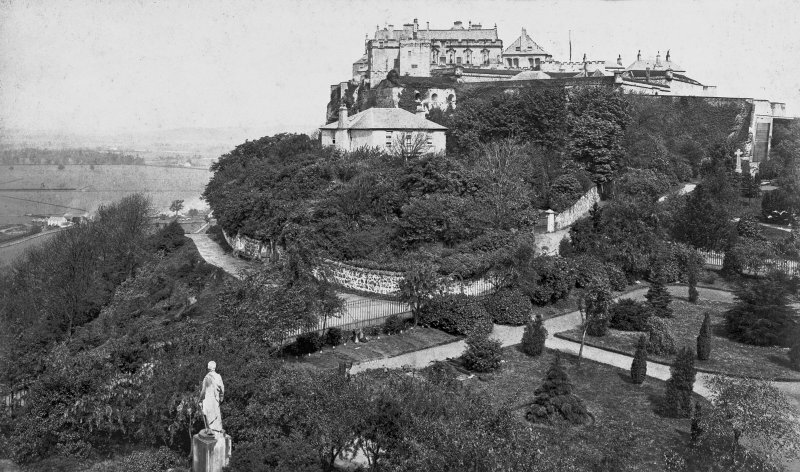 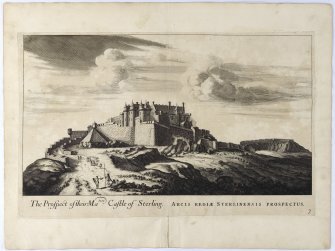 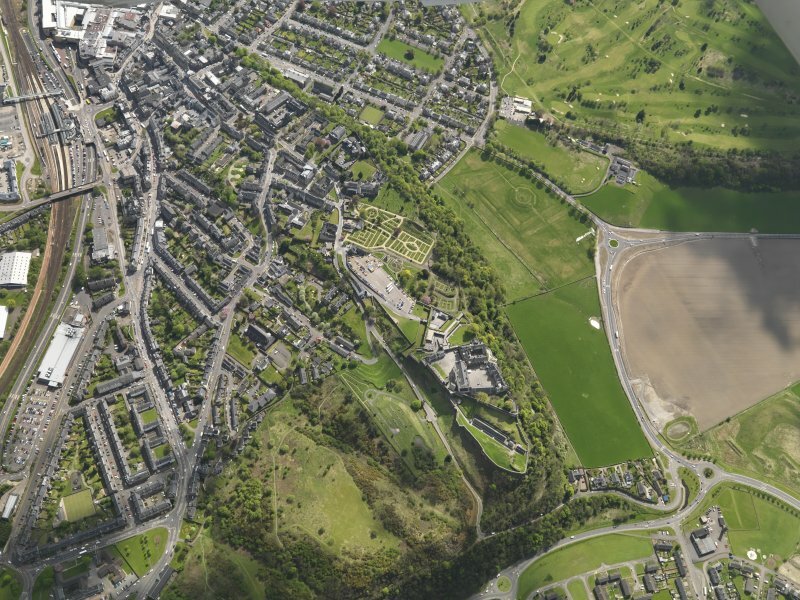 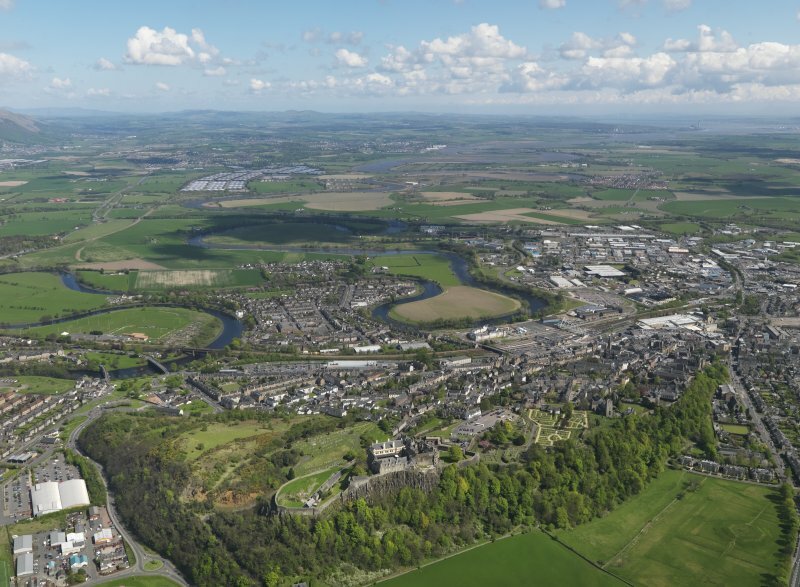 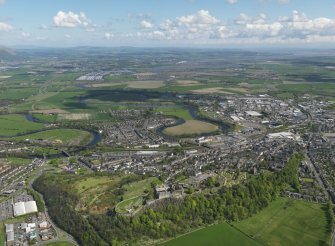 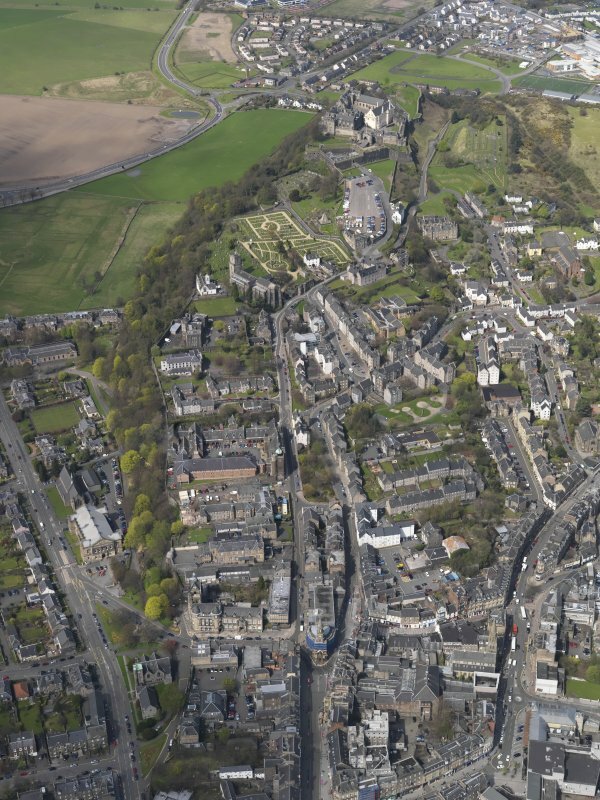 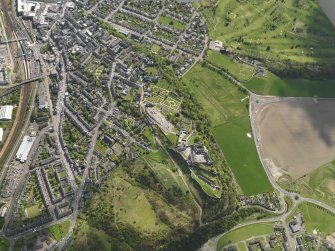 Oblique aerial view of the city centred on Stirling Castle, taken from the NNE. 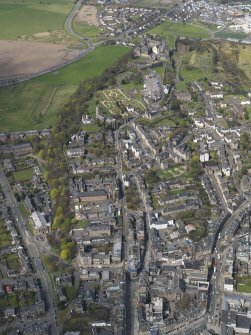 Oblique aerial view of the city centred on Stirling Castle, taken from the N.
General oblique aerial view of the city centred Stirling Castle looking E towards Kincardine, taken from the WNW. 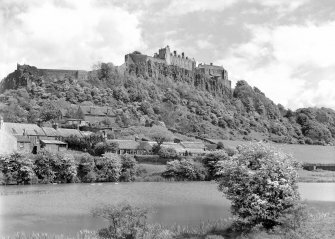 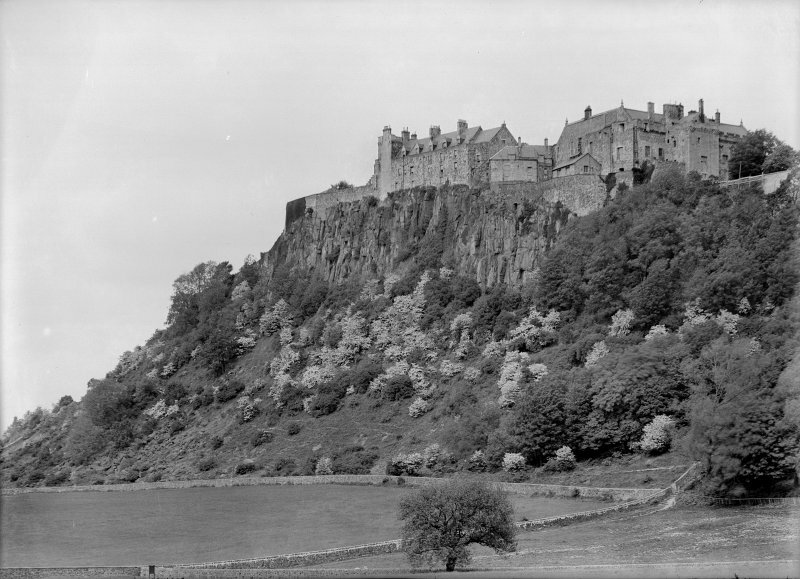 View of Stirling Castle from W.
Oblique aerial view of the Wallace Monument, taken from the NW. 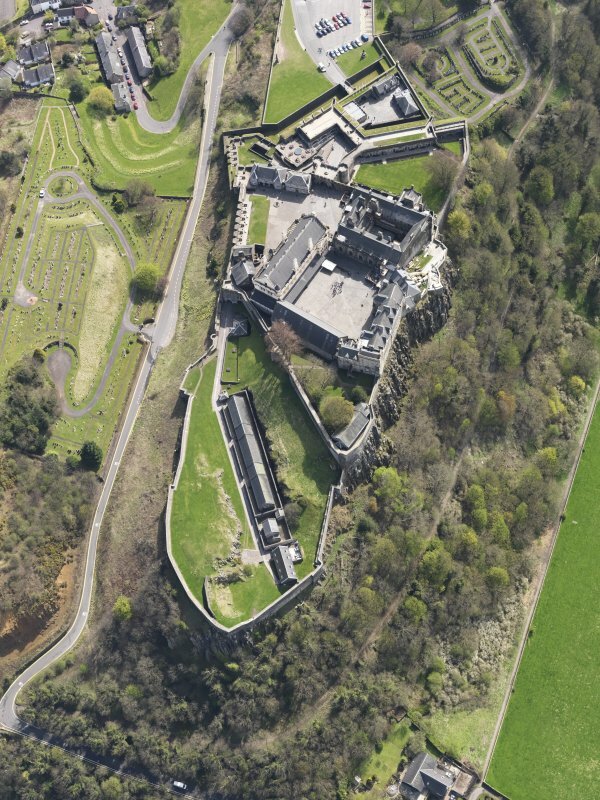 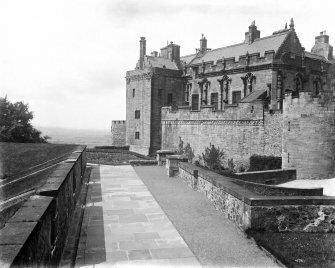 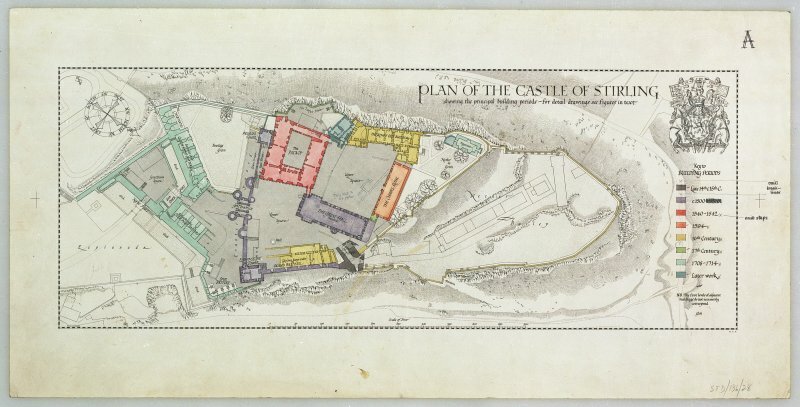 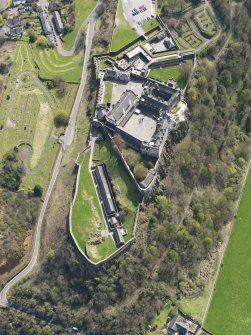 Oblique aerial view of the Stirling Castle centred on the Great Hall, taken from the NW. 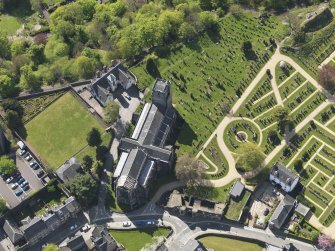 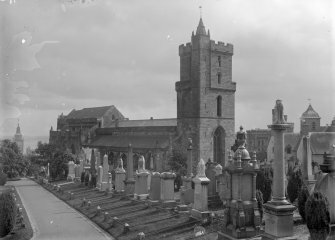 General view from graveyard, Church of the Holy Rude, Stirling. 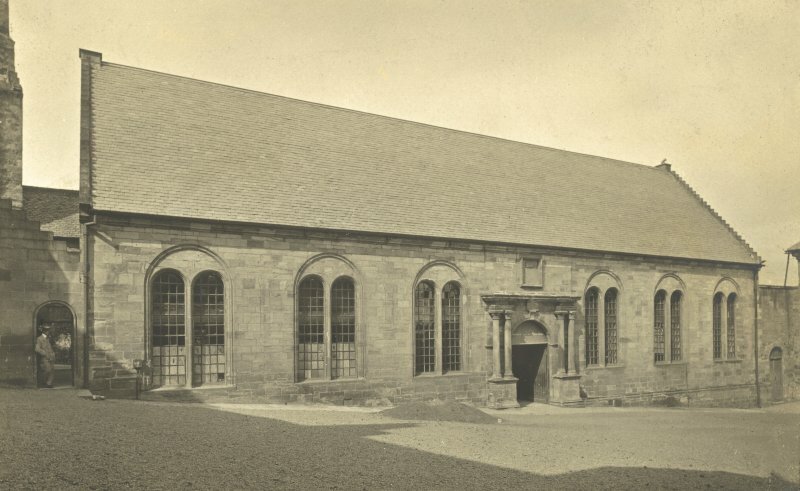 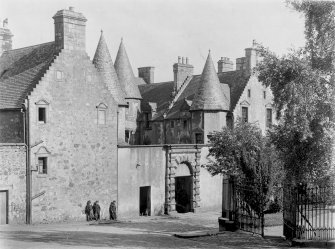 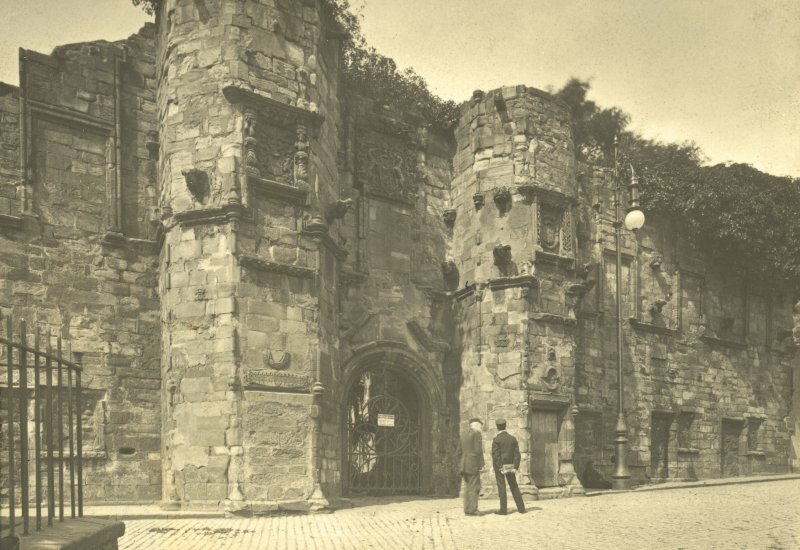 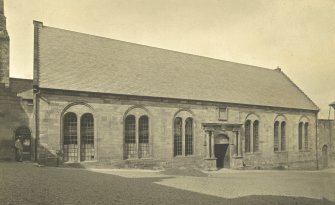 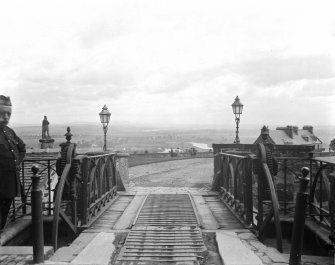 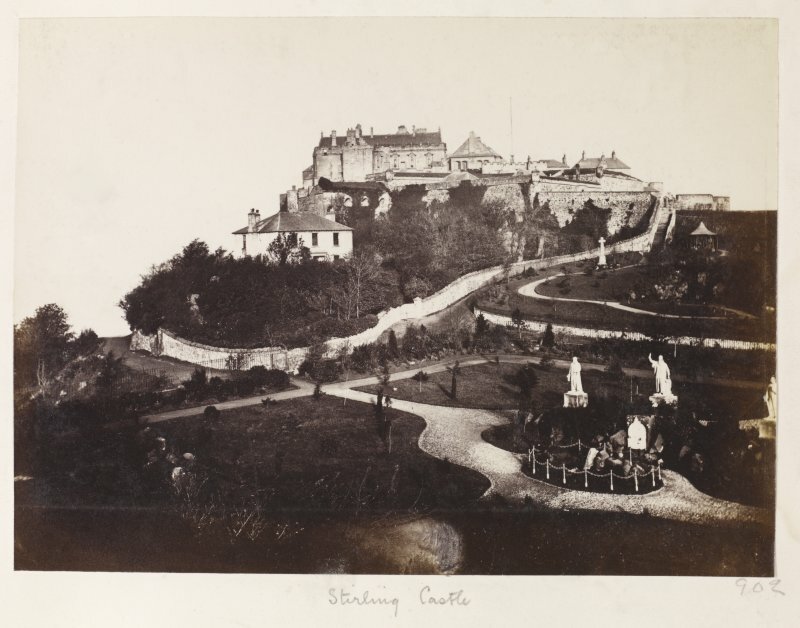 Historic photograph of two men in uniform in front of the gate at Mar's Wark in Stirling 1901 View from E.
Historic photographic view of Chapel Royal, Stirling Castle from S.